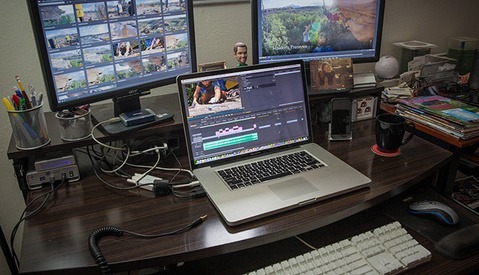 Readers have enjoyed my past blogs on editing from home, making a better demo reel, and other video-editing articles, so now I’m sharing with you my favorite editing tricks that I find make for better cuts and ultimately make videos easier to watch. I know the skill level of video editors can vary greatly, but I’ve found that on Fstoppers, many people are photographers who have transitioned into making videos, and therefore had to learn how to edit. 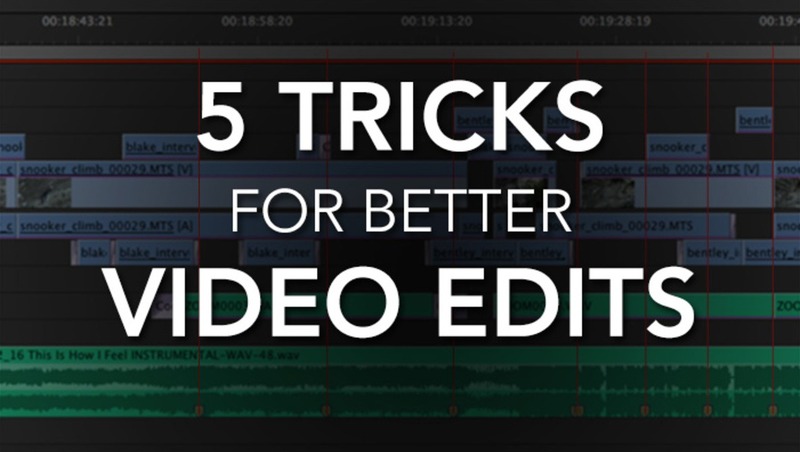 You might already do some of these editing tricks, but if not you should definitely try them out. With the shrinking attention span of most audiences, and all kinds of media fighting for your time on the internet, it’s often a good idea to keep your videos as short as possible. This is true for most cases, but I’ve found that strategically placed pauses in videos can actually make videos easier to watch, and therefore maintain viewers for longer periods. At about the :34 second mark, notice that the dialogue stops for a few moments and the music picks up. The beat hits on a humorous closeup, then continues on. Adding breathing room can provide your audience with a mental “break” in the information they are receiving, and a small pause can also trigger the understanding that a new thought or subject is about to begin. When used in conjunction with changes or hits in music, these can add a fantastic flow to interview segments. Following in the idea of using specific edits to subconsciously trigger an understanding in the viewer, editors will often use cross dissolves when starting or ending scene. Fade to blacks are used, as well as wipes if your name is George Lucas. Note the opening shot of this video. We see the back of a grip truck being opened from black, which is used in lieu of a fade up from black. It works better because the music is hard hitting, which wouldn't work well with a dissolve. Next time you want to end or begin a scene, see if you have a clip that naturally leads the eye into the new subject matter. For example, a simple pan up at the beginning of the clip or pan away at the end of a clip can trigger an upcoming scene change. It feels more natural than a forced cut, but also combining the two can make for elegant transitions. The portion highlighted in red shows the shape of the "J" cut. Don’t overdo it, as a second or two works fine. Mentally this feels very natural because in real life when a noise occurs, we often turn and look to see what that noise was. In editing terms, that means we hear something slightly before we see it, making a mental “cut” with our eyes from the original thing we were looking at to turn and see this new thing that is creating audio. Pay close attention next time you watch a suspense thriller, and you'll notice this type of edit happens all of the time. In my example, I use the audio from an interview segment to lead into the video of that interview. In more noticeable cases, action sequences with diegetic sounds will often lead their visuals just a little bit. If that blew your mind and you’d like to read more examples of human observances and how they relate to video editing, I’d highly recommend reading “In the Blink of an Eye” by Oscar-winning film editor Walter Murch. I’m surprised when I see great looking video that is fraught with interview audio that is full of “ummms” and other speaking errors. I understand that people can slur their words to a point where you can’t separate one word from the next. It happens. But whenever you can cut out a long breath, an “umm” or other thoughtless comment, do it. The trick here is to use very short audio fades. This requires some patience and finesse, but cutting out 8-10 of these in a single interview can save a few seconds, and those seconds add up over the course of a long video. Only two short edits, for a total length of about :25. 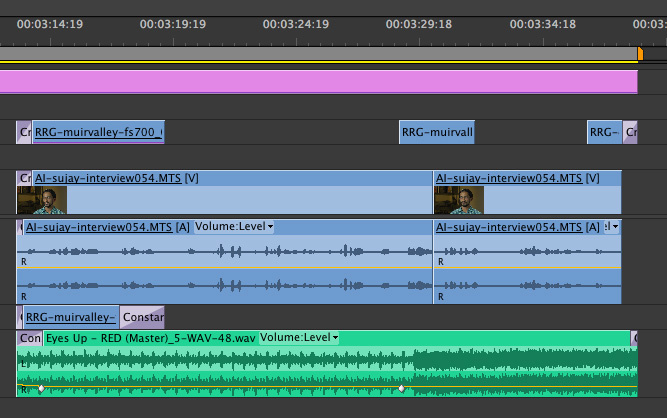 Many short edits have removed the "umms" and pauses in the interview, and made the total length now only 16 seconds. Above are before and after screenshots of my timeline of the video clip below. Look at how many small cuts I had to make. Sure there might be a part that starts to sound a little weird, but I’ve found that most people won’t notice it as much as they would notice a person saying “ummmm…” In the video below, you'll first see the clip with the mistakes edited out, and then the original version. I think it's pretty clear which one is better. This trick is an old one but easily one of my favorites. 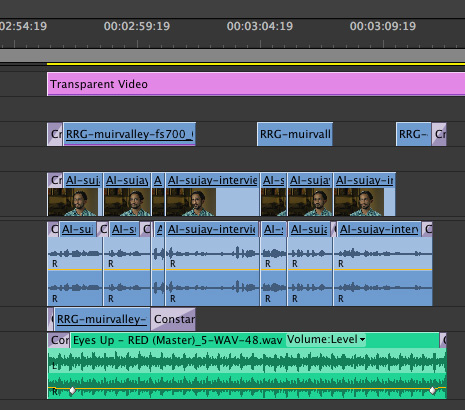 Notice how all of the markers added to the music track correspond to places I have made some of my edits. These are just a couple of my favorite editing tricks– pretty simple overall but when it comes to video editing, the details are what makes a world of difference. What are some of your favorite editing tips or tricks? Share them in a comment below. If we get a lot of suggestions, I might even compile them into a future post! Really fantastic editing tips here! I'll be sharing this with several people! Great article! Conscise, to the point and enhanced with excellent real world examples! Loved it. do you know if some of the technical tips are able to be completed in the motion section of photoshop that allows for basic video editing? Honestly, I have no idea. I used one of the earliest iterations of video editing in photoshop, and I don't know what's possible with the latest versions. The first two things are possible, but I don't know if you can do J-cuts or add markers or audio fades. 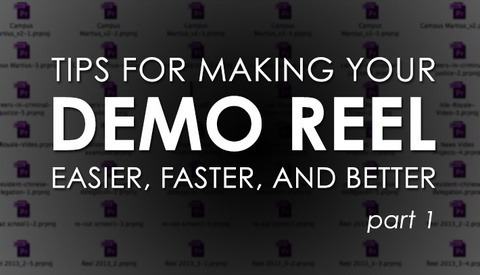 awesome thanks, i dabble in video a little bit for clients BTS stuff and these are pretty handy tricks. i haven't really worked with video since adobe premiere 6.5 lol which was a long time ago. Great tips! So simple, but sometimes you just don't realize by yourself. Great Article but a couple things I may add if you guys don't already know..
* If you are on a really tight schedule and need to edit to music.. choose music with a slow steady beat! (That is if only if it fits in with the mood.) This means that your shots will be longer and you wont need to find and process as many clips! * I often have to perform same-day edits for live sports events that are screened at their prize givings. I always do a pre-edit with the graphics/titles/credits/audio and placeholder clips (with descriptions of what shot is required) already saved in the project file. This means that on the day all I have to do is dump the shots and drop them into their placeholders before the cleanup. * Selection with the play head, next/previous edit point shortcut and trimming with the arrow keys. *Lastly when compiling a production from a large chunk of footage (that has not been sorted), I simply drop all the clips to the time lines then srcub through it at speed, placing a marker with shortcut on all the points of relevance and action.. then work from those clips backwards till the timeline is full! Thanks for excellent quick tips. great article, i although i used some of these tips, it is very helping. but i do not got the last tip . adding mark to the beat will not be helpful when the track is not long enough so it will be hard to sync the rest with the clip ,. what if the clip got to many beats . i think i do not understand it . so if you can explain more that would be helpful . Thank you for sharing this tips. I came across this article while doing some research for a client of mine (I'm a marketing consultant), and so I thought I would share their product with you and your readers because they are offering a one month free trial since they are a new startup. The product is a video editing tool that uses artificial intelligence to quickly find specific people and scene in your videos. 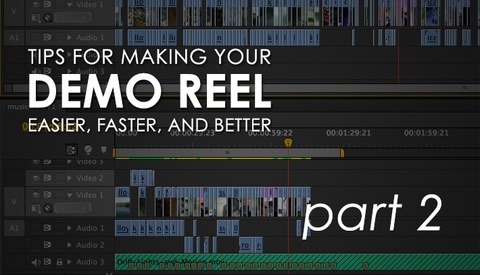 It dramatically speeds up your video production times, and it's compatible with your other editing software programs. Check it out and try it for free - nothing to lose here! And it's super cool! Link is: https://www.jump.video/. (no .com at end or anything.) Thanks!